Taking steps to grow your money is as crucial as saving it. This makes investments important. Owing to high returns, investing in the stock market looks like a lucrative avenue for investors. Taking steps to grow your money is as crucial as saving it. This makes investments important. Owing to high returns, investing in the stock market looks like a lucrative avenue for investors. However, every investor does not get their expected returns in the equity market as investing in stocks can be quite tricky. For one, investing without proper knowledge may erase your initial capital. Second, wishing for quick results without giving enough time to their investments to mature may not give the desired returns. Moreover, people often rely on their acquaintances for advice on their equity investments which might not be always correct and profitable. Hence, when the market throws a challenge or goes through some turbulence, they panic and lose the invested money. While having a basic understanding of the stock market before investing can help you get a good start, these five rules of equity investments can help you get better returns with reduced risk. Equity markets are usually quite volatile and often tend to make investors panic. The high volatility in equities helped a lot of people earn profits. However, many have lost their hard-earned money too. Although you can’t always avoid being on the losing side, you can still avoid being a loser at all times by follow the rule of regular disciplined investment. Investing small amounts consistently over a longer tenure and not selling your shares prematurely could help you earn outstanding returns in the long run. This can be achieved via systematic investment plans (SIPs) in stocks and mutual funds. Your regular investments can also help you sail through market ups and downs, which you would eventually realize when you look back later. Equity investments are known to be a rollercoaster ride for investors with unexpected highs and sudden lows. Hence, as a practice diversification in all your investments. This can be diversifying your funds across asset classes and instruments. You could also diversify your investment strategies based on market conditions. Unlike other investments, equity investments require you to give them their due attention and care. The more you are aware of the opportunities and leverage them accordingly, the better could chances of a higher return. This can be done by monitoring your investments on a regular basis and rebalancing your portfolio when necessary. If you have difficulties in monitoring your portfolio, you could always take help from a good financial advisor who would guide you and help you with your equity investments based on your investment goals. Herd mentality is evident when everyone in the market collectively to buy or sell a particular stock. In the market, this could pose as a non-profitable and risky strategy to adopt. Adhering to the herd mentality, by following your neighbours, friends, colleagues or acquaintances could backfire in the long run. What might work for others given their portfolio size, risk appetite, invested amount, and investment goal, might not work in your Further, those who follow herd mentality are often too late to act, either buying at very high valuations or selling at low prices. Hence, making an informed decision based on your investment needs and goals and your research and understanding becomes an important rule of equity investments. Knowing what would happen beforehand is impossible in life. The same applies equity investing. There would be a of people to guide you on when to buy low and sell high. But be cautious of such information. Always check for researched data and your instincts to back it up. Avoiding speculations while trusting in the proven forces, relying on research, and being updated with social and political happenings around you will help you get a good grasp your investments, and thereby, reap better returns. Investing in equity markets isn’t as difficult as it seems. 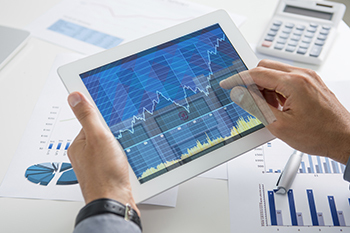 Being aware and vigilant of market trends and movements in line with these five rules of equity investing could help you build your wealth in the long run.